WorldHost Principles of Customer Service Training will provide participants with invaluable skills and techniques that form the fundamentals of service professionalism. 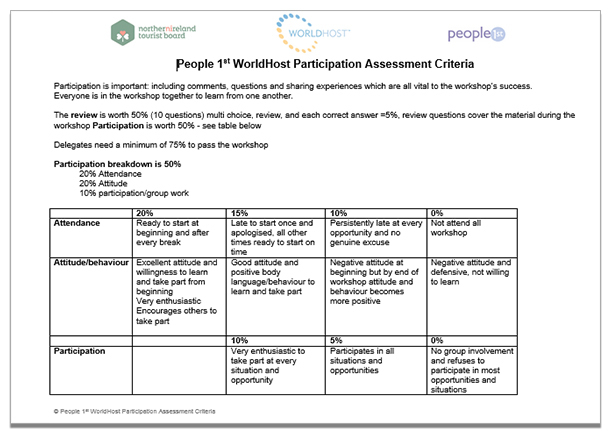 The WorldHost Principles of Customer Service programme is modern and energetic offering a comprehensive training toolkit and topical DVD and CD case study scenarios which can be used across a wide variety of industries where the quality of customer service is key to the success of business. What forms a first impression? Why should I handle customer concerns? Why is customer service training important? Third party costs such as training room hire, catering, travel expenses and trainer time investment in customisation can be provided by Watson & Co. Chartered Marketing on request, if required. Chartered Marketer Christine Watson DipM MCIM is a People 1st accredited Customer Service and Digital Marketing Trainer and has a background in mystery shopping and business improvement spanning the past 17 years. She has successfully trained over 1,000 delegates. 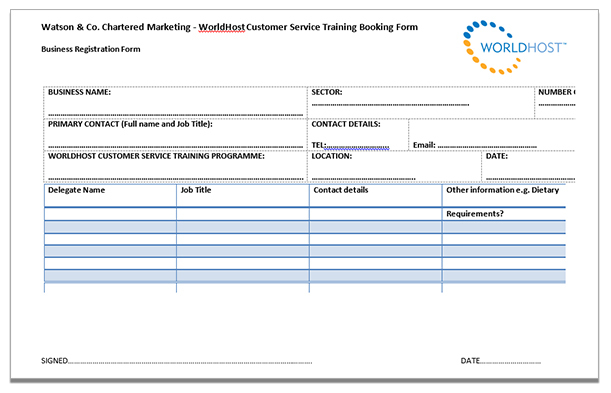 Download our WorldHost booking form, fill out and and return to us by email: info@watsonsmarketing.com.